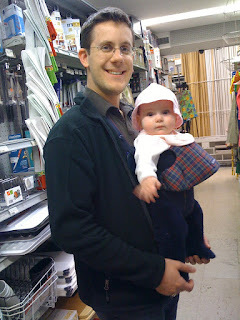 Matilda enjoys going to the local hardware store with Dad. Soon, she'll be roofing and painting just like I used to do with my Dad. Maybe we'll wait until she can walk before giving her a paintbrush.